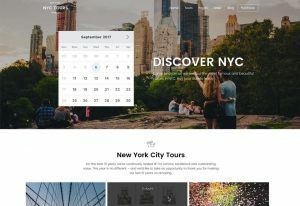 Flash is a powerful free responsive WordPress theme suitable for creating multipurpose websites. 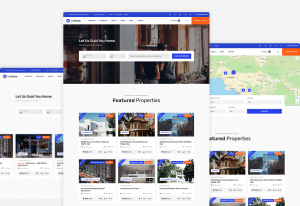 Simple, elegant, highly flexible, and rich with amazing features, the theme is a great choice for beginners as well as professionals. Built with modern WordPress Live Customizer, seamless page builder integration and an exclusive power plugin support, Flash theme is more than just another free WordPress theme. 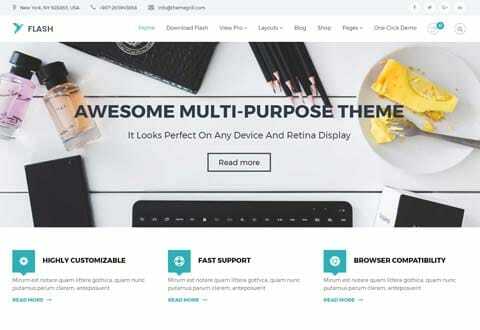 Flash has deeply integrated the popular SiteOrigin’s Page Builder Plugin and a companion plugin Flash Toolkit‘ which make creating a WordPress website easier than ever. Flash Toolkit includes more than 11 useful WordPress widgets which you can drag, drop, mix, and match to create stunning webpages. Furthermore, it guarantees unlimited design possibilities – create anything you can imagine. 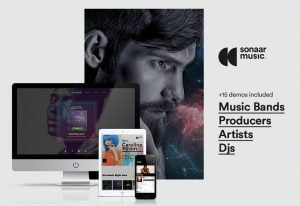 In addition, the theme comes with one-click demo import option and more than 4 beautiful demos. You can choose any one, import with a single click, and quickly start building a new website. Moreover, the theme is fully compatible with WooCommerce, social icons, search engine friendly, and WPML ready.